As previously revealed, there will be a weekly change of season in Forza Horizon 4. And this coming week, we will be getting the Winter Season in the game. One of the things that were shown during the preview of Forza Horizon 4 is the frozen water where some of the races take place. This happens every winter and since it’s almost time to change the season to winter, maybe you should start looking for the ice flats drag strip location. You’re in luck as we already did it for you. 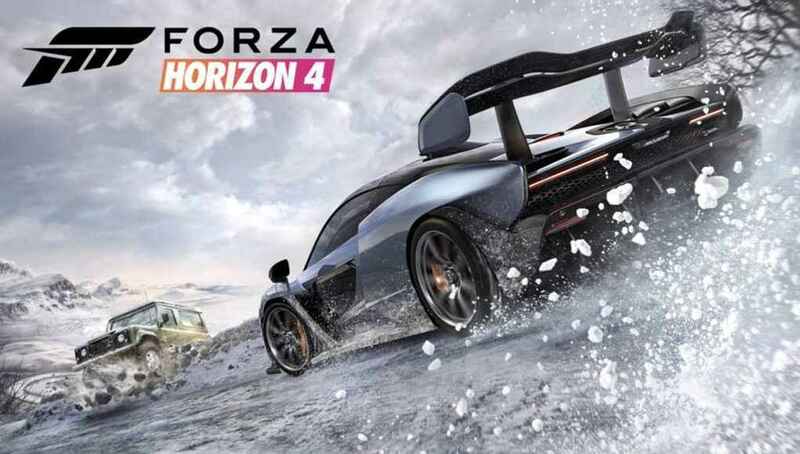 In this Forza Horizon 4 guide, you will learn the location of the frozen lake where you can race the throttle of your car. The location of the Ice Flat Drag Strip is at the Derwent Water. During winter, Derwent Water froze and this is the place where racing happens. While there will be a marker of the event in the southern part of Derwent Water, you can also visit the location in case the marker did not show up. 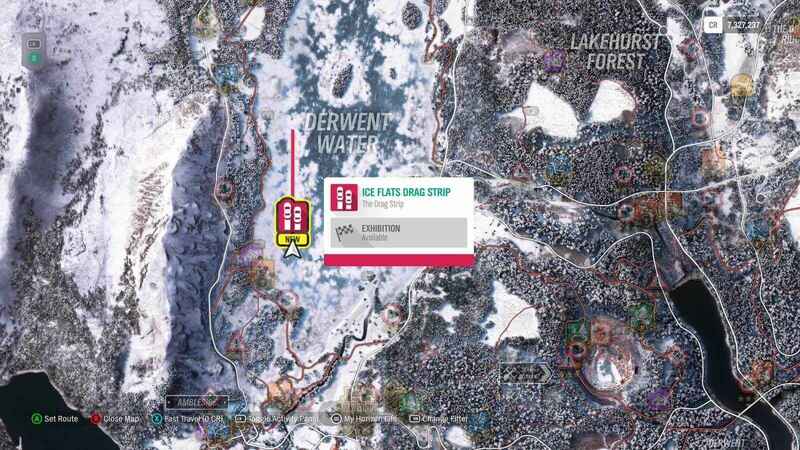 The fastest way to get in the event location is by taking the route from the Derwent Mansion, head straight out onto the ice and proceed to the northeast. You’ll eventually see the drag race strip marker and from there, you can start racing. There’s a solo, co-op, PvP, or rival race events in there, so the choice is yours. Winter season in Forza Horizon 4 is only available for 1 week. So if you want to experience riding the frozen waters, head to Derwent Waters and burn that tire out. If you want more Forza Horizon 4 guide, make sure to check our directory. Enjoy the winter season!